The Liebster Award – it’s my turn! The principle of the Award? 1. Why do you write about your travels? One day on holiday with a friend, we were having a nice meal at the restaurant. was taking pictures of the restaurant and the food when she said ‘you like traveling, you are an Internet addict… what wouldn’t you launch a blog?! I have plenty of friends that would like to benefit from your tips!’ 2 weeks later, Travel with Emilie was born! 2. Is writing your main business? Kind of… I’m a social media manager so I need to be creative all day to create engaging posts. 3. If not, would you like to do it as your main job? 4. Which is your dream destination you would like to visit? I’ve been dreaming to go to New Zealand for years now. However, I want to visit the island properly and I haven’t had the chance to take more than 2 weeks holiday so far. I’ll keep dreaming! 5. What was the funniest thing that ever happened to you during your travels? Wow that’s a tricky one! It’s really difficult to single out one moment. 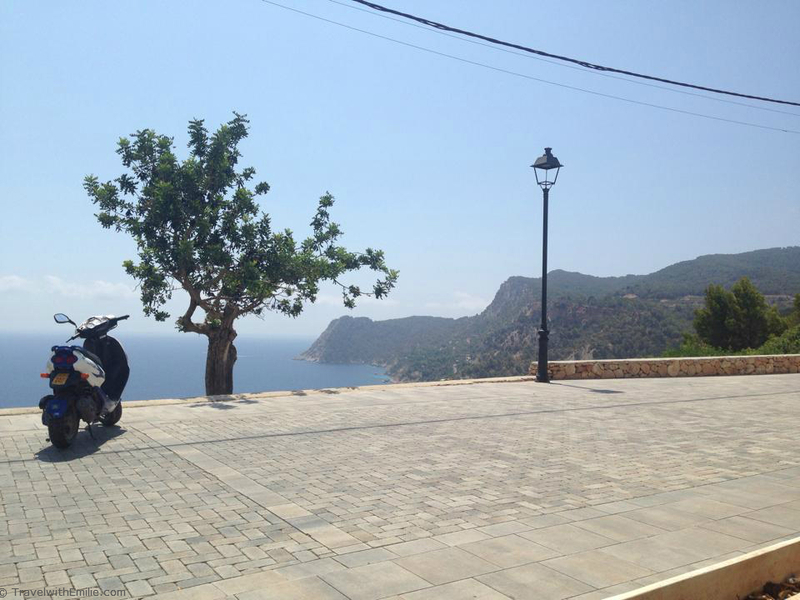 I’ll take a recent example: my friend and I rent a scooter in Ibiza (see cover picture!). On the other side of the island, I realise the fuel tank is nearly empty. We stop next to a car rental company that explains me in Spanglish to turn left, then right, to go round the roundabout, to drive back the same way and take the right street towards the Mc Donald’s to find the closest petrol station. We turn the key…. nothing…. for 5 long minutes. We manage to start the engine again. We arrive at the petrol station after missing the Mc Donalds twice. We start putting some fuel but the pump stops very quickly. We start freaking out? Italien guys behind us notice there is fuel under our scooter… we are nearly crying and cannot imagine calling the rental company to admit we are stuck on the other side of the island… The guys tell us to try and drive as far as possible with the fuel we have.. they turn the key on and we realised the tank was completely fuel… it had actually been overflowing! Yep we felt completely stupid! 6. Which destination disappointed you? Apologies to all Portuguese people, I was quite disappointed by Porto… maybe because I don’t drink Port! The city is quite small and rather dirty and the areas near the river packed with restaurants trying to rip you off. 7. The nicest hotel you have ever been to? When traveling I mostly stay in hostels/small hotel or at friend’s places. However, during a trip to Ibiza, a friend and I met some cool people that invited us to their hotel…. in basically the best hotel in Ibiza, the Ushuaia hotel (transparent lift, jacuzzi on the terrace, view on the club – with David Guetta, Avicii)… partying in their suite at 3 000 € per night was insane! 8. Which are the 3 most beautiful cities according to you? Rome: taking the bus pass the Colosseo, eating a gelato in front of the Trevi fountain, wondering on San Pietro at night… there’s nowhere like Rome! Lisbon: culture, cheap cocktails, the sea, shopping, there is everything! Oslo: so peaceful, so clean and just a ferry away from the beaches! 9. Your best and your worst food experience? The worst experience must be the Ovos Moles from Aveiro. Basically only yalk and sugar, sugar and sugar! 10. Which languages do you speak? My mother tongue is French and my ‘father’ tongue English. Being from a bilingual city, I’ve also learned Dutch at school. I learned Italian on Erasmus in Rome. Finally, I have a good passive understanding of Spanish! 11. Your best blogging tip? Make it personal: engage with other bloggers through social media, ask questions, take part in discussion. This is how you will drive traffic to your blog! What’s the nicest island you have visited? What would your ideal hometown be? Is there a country where you would never consider going? What weird thing do you always have with you when traveling? What was the longest trip? From where to where? Your best food discovery abroad? What was your nicest surprise (a place you were not expecting a lot from)? Would you like to meet other travel bloggers when traveling? Any travel recommendations for NYE? Previous Previous post: Hungry in Brussels? Next Next post: Zakynthos – Let’s go to the beach!